﻿100% cotton material, lightweight and breathable. Adjustable plastic backstrap for you to adjust, one cap size fits all. 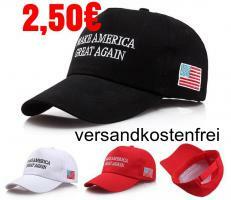 The slogan and falg are sewed on the hat finely and flatly. Supportive material in the front side can fixed the cap in shape.